Arsenal ended their winless run against Chelsea in impressive style with a 3-0 victory at the Emirates on Saturday evening. The hosts raced into a 2-0 lead inside the opening 15 minutes as Alexis Sanchez capitalised on an error from Gary Cahill and then Theo Walcott finished from Hector Bellerin's low cross. Arsenal had not beaten Chelsea in the Premier League since 2011, but Mesut Ozil volleyed in a third before the break to cap off a dominant first-half display. Substitute Michy Batshuayi went closest to pulling a goal back late on with Chelsea's only shot on target. Otherwise the visitors rarely threatened as Arsenal won their fourth straight league game in the week that Arsene Wenger celebrated 20 years in charge. 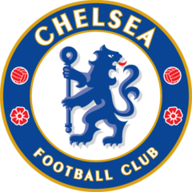 For Chelsea, it is a second defeat in a row and there are signs that Antonio Conte has work to do, especially in defence, where the visitors looked far from convincing. Having brought in ex-Gunner Cesc Fabregas for his first league start of the season, Chelsea quickly fell 2-0 behind. With just 11 minutes gone, Cahill was caught in possession by Sanchez, who raced clear and cooly dinked over Thibaut Courtois. It was soon 2-0 after some crisp passing from the hosts which ended with Bellerin crossing for Walcott to tap in from close range. Chelsea continued to look unconvincing in defence, but they did go close after 21 minutes as Willian shot across goal. That was a rare opening for the visitors, who fell further behind after 40 minutes. N'Golo Kante was turned by Ozil, who raced away from inside his own half and played it forward to Sanchez. He returned the favour for Ozil to volley in the third at the back post. Eden Hazard shot into the side-netting late in the half for Chelsea, who made a change in the 55th minute, bringing on Marcos Alonso for Fabregas. They also switched to three at the back, which sometimes left them exposed on the counter, but did give them more of an attacking threat. Still, Arsenal were largely comfortable, and Walcott was only denied a second goal by a good save from Courtois. Chelsea's best chance came late in the game when Batshuayi was played in by David Luiz, but the striker failed to beat Petr Cech. 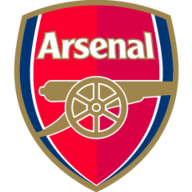 Arsenal: Cech (6), Bellerin (7), Mustafi (8), Koscielny (7), Monreal (7), Coquelin (5), Cazorla (7), Walcott (8), Ozil (8), Iwobi (8), Sanchez (8). Subs: Gibbs (6), Giroud (5), Xhaka (6). Chelsea: Courtois (5), Ivanovic (4), Cahill (4), Luiz (5), Azpilicueta (5), Kante (5), Matic (5), Willian (5), Fabregas (4), Hazard (5), Costa (6). Subs: Alonso (5), Pedro (5), Batshuayi (5). Man of the match: Alex Iwobi.